By Jake Rocheleau in Desktop. Updated on November 24, 2017 . 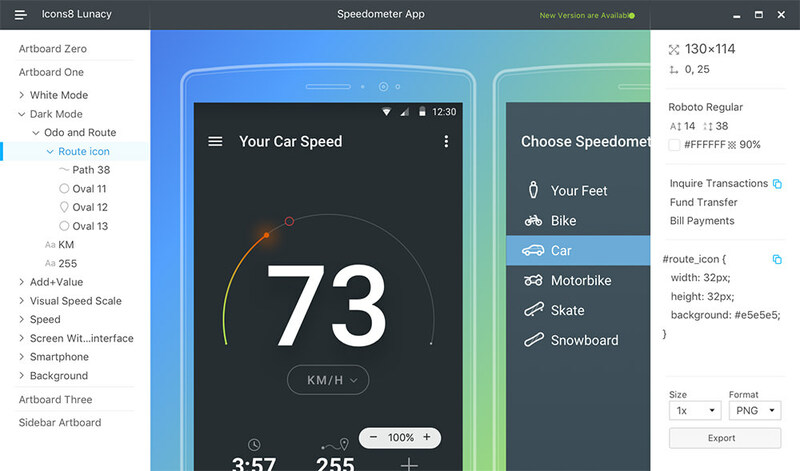 Mac users love Sketch and it’s quickly becoming a popular alternative to Photoshop. But Sketch has one major downfall preventing widespread adoption: it’s a macOS-only program. To help resolve this issue (partially), we have Lunacy. It’s a totally free Windows desktop program that allows you to view, edit, and even export Sketch files, right from your Windows machine. It doesn’t require extra plugins, syncing features, or anything like that. You just open the Sketch file in Lunacy and see it just like you would on a Mac. However, Lunacy is so much more than just a viewing tool. It also works as an export tool, so you can generate custom design assets such as text, bitmap graphics, and even layer effects like shadows and gradients. This gives Windows users a lot more control over their design workflow. You can move Sketch files between computers and even share them with non-Mac designers without much worry. Granted Lunacy doesn’t have many editing features and it’s not a full replacement for Sketch. But, there are future plans to add editing features on Windows, so this would be a huge leap forward. Perhaps the best part of Lunacy is the CSS export feature. You can find tons of plugins that convert Photoshop files into HTML/CSS and you can find many for Sketch as well. 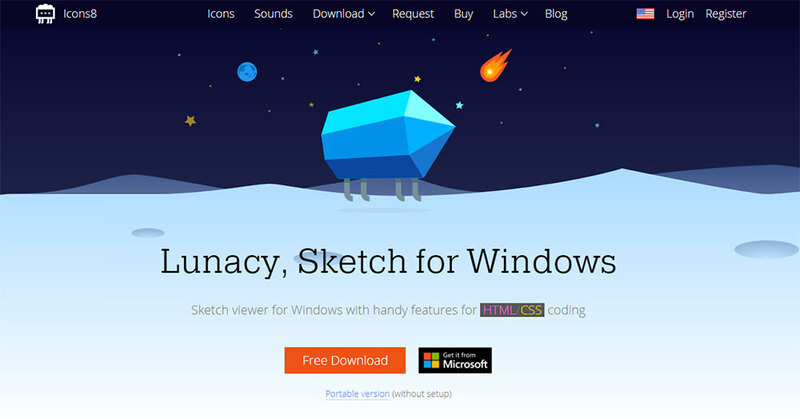 Lunacy is the first program on Windows that lets you open a Sketch file and export it to raw HTML/CSS code. You can inspect each layer, study the colors/sizes/dimensions, and alter these in CSS if needed. Each file opens with 100% accuracy, so this program feels much like a native Sketch application. If you’re a heavy Windows power user and need a way to support Sketch then this is the way to go. Until Sketch releases their own program for Windows, there isn’t much else on the market beyond a VM. And, Lunacy is a lot easier than that! Check out the Lunacy homepage to learn more and download a free copy of the program. It has both a full installable version and a portable version if you want to keep it handy on a USB or in a cloud account. Either way, Lunacy will remain free for life, so it’s a trustworthy Sketch viewer you can count on.